Sundance Film Festival takes place Jan 24 through the 3 of February 2019 in Park City Utah. Every winter in Utah, the Sundance Film Festival becomes the ultimate gathering of original storytellers and audiences seeking new voices and fresh perspectives. The annual program includes dramatic and documentary features and short films; series and episodic content; and New Frontier, showcasing emerging media in the form of multimedia installations, performances, and films. It also hosts daily filmmaker conversations, panel discussions, and live music events. Since 1985, hundreds of films that have launched at the Festival have gained critical recognition and acclaim, reaching new audiences worldwide. Since 2007, the New Frontier exhibition at the Sundance Film Festival has provided the highest level of curation in the emerging field, incorporating fiction, non-fiction and hybrid projects to showcase emerging media storytelling, multi-media installations, performances and films. Throughout the year, Sundance New Frontier also offers Labs and Residency programs that work to identify and foster independent artists and creative technologists innovating the art and form of story at the convergence of diverse forms of creative expression; and to build a community of collaborators across diverse disciplines to push the boundaries of story. For Festival submissions click here, for the New Frontier Festival program click here, and for Festival venue and attendance information click here. 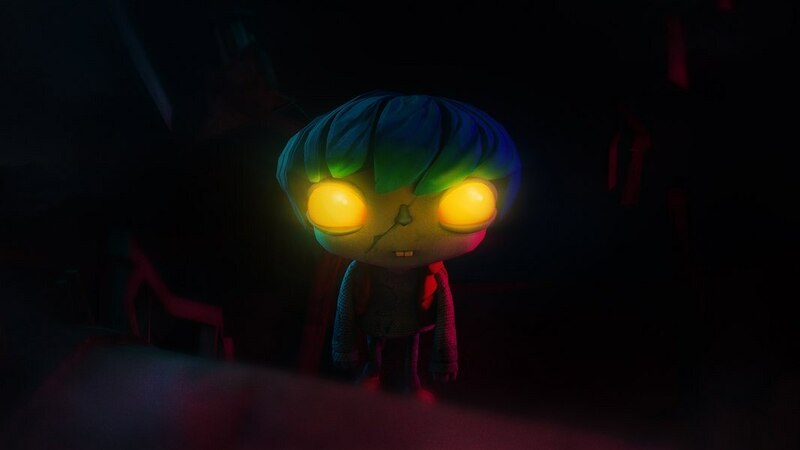 This year, two French project are selected in the category New Frontier: Mechanical Souls and Gloomy Eyes. Despite the cost, Mrs. Song hires androids to assist in the lavish wedding of her daughter, Zhen-Zhen. But when she tries to modify the behavior of the android bridesmaid, a new model named Ah-Hui, its functioning begins to go haywire. This story is exploring the themes of arranged marriage, and traditional Chinese society. It’s an anticipation universe in the near future with humanoid androids and a multi-segment narration lead by an artificial intelligence. The Broadcast is in a dedicated multiplateforme application. 1983, Woodland City. Being a zombie is against the law. Like all of his kind, young Gloomy is hiding in the forest, away from bounty hunters. But Gloomy is different. While bitterness plagues the city, he strives to find a balance in his mysterious dual nature. The two programs are supported by French Immersion with the partners The Cultural Services of the French Embassy, UniFrance, l'Institut Français, le CNC, FACE Foundation and Air France.